Hello! My name is Loni (a.k.a. MamaFish). I’m a maker, mother and Mrs. and I’m on a mission to cover the world with smiles. 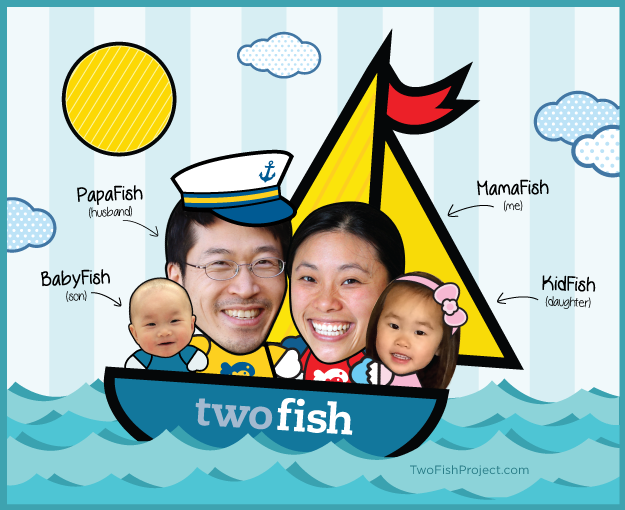 Twofishproject is where I write about fun stuff for kids and the grown-ups who love them. I’ve spent a lot of time with kids. I’ve been a youth group leader, camp counselor, summer program coordinator, Sunday school teacher and a school program supervisor. I’ve worked with babies, pre-schoolers, elementary schoolers, middle schoolers and high schoolers. Before all of that I, myself, spent 18 long years as a kid! Now, I have 2 children of my own and I’m immersed in co-ops, playdates, kids programs and extra-curricular activities. This is where I write about it all. I hope you will be inspired, encouraged, challenged and discover something new. Enjoy! We’re on a mission to cover the world with smiles. Edgewood provides help and healing for kids and families that struggle with mental illness and behavioral issues. Fisher House provides free lodging to military families while loved ones receive treatment at military medical centers. Bring smiles to those you love with our paper crowns, paper toys and more.